With people becoming more aware of their impact on the environment, there has been a greater push towards sustainability in areas such as interior design. Like fashion, interior design often revolves around short-term trends, and buying new items for the home each season, and this can create large amounts of waste in the manufacturing, packaging, and shipping of items. That’s why interior design has moved towards quality rather than quantity, so whether you’re looking for kitchen cabinets in Perth, or choosing a new wallpaper for your living room, it’s better to opt for things that’ll stand the test of time. Here are a few tips for achieving a stylish yet sustainable home. Minimalism doesn’t necessarily mean a cold, clinical space. If you are trying to achieve a sustainable design, then focusing on a few high-quality pieces of furniture is better for the environment than buying entire new sets. Choosing furniture that’s too on-trend means that it’ll date so much more quickly, so rather than opting for something just because it’s the hot item of the week on Pinterest, look at styles that are modern, but have been established, so you can be sure they won’t fall out of favour in a few months. Not only is this a more sustainable way to furnish your home, it saves you money too, and makes it worth investing in quality pieces rather than constantly buying cheap flat-pack items. Upcycling has also become a big trend in interior design. Finding second hand furniture items and redecorating them can be incredibly rewarding, and save you a lot of money. When you do decide to buy new furniture, be cautious of where it comes from. Use a company that sells sustainably made furniture, and one which doesn’t exploit its workers. If you have a local company that makes furniture, then they’re often a good option, as they’re less likely to use pollutants or do damage to the environment. Shopping locally also means a shorter shipping distance, so there’s a lower carbon footprint. When using chemicals such as paint in your property, check that the product you’re using is environmentally friendly. Paints smell strongly because they’re often made with polluting products. However, there are many non-toxic paints available, which are especially good for kids’ rooms where paint fumes can be harmful. Consider using some eco-friendly finishes too. Terrazzo is made from recycled stone chips set in concrete, and adds an interesting texture, meaning it’s a great alternative to wallpaper. If you decorate and use paints or industrial glues, then make sure you dispose of them properly. By thinking about the local weather and how it might affect the room, you can ensure it’s a comfortable place for people to live. 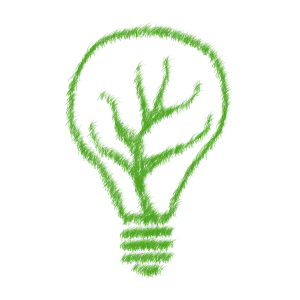 Cutting the amount of energy used makes your home more sustainable, and little changes such as choosing light fittings that can use LED bulbs can cut energy bills. Many homes are now installing smart devices too, which can control the lighting and cooling of your home, allowing you to see how much you’re spending on energy, and control things remotely. Adding some greenery can improve the air quality of your room, and also adds an interesting, sustainable feature to your home. House plants are a big trend at the moment, especially large, leafy ferns and succulents. Plants are an excellent way to decorate a space, as there’s no plastics or metals needed, so they’re environmentally sound. Interior design isn’t just about picking the right colours and fabrics. Space planning is an important part of creating a sustainable home, and ensures that the carbon footprint is kept to a minimum. 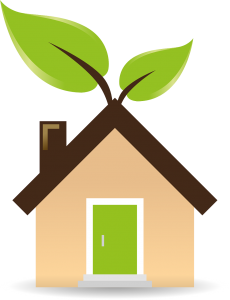 For example, by creating a home that’s not too big or small, the space is more energy efficient, and by adding touches such as recycling bins, compost bins, and water-efficient showers, occupants can stay green without having to think about it much. Whether you are installing a new kitchen or buying a new sofa, it’s important to think about whether you’re making sustainable choices. Because of constantly changing interior design trends, homes can be wasteful, which is why it’s important to choose high quality fittings such as cabinets, as well as strong, durable furniture that’ll last through the years. By opting for quality, you can save money in the long term too, as older items can often be recycled or handed down, meaning there are fewer items going to landfill. ← What Are the Most Durable Countertop Materials?